Our child behavioural psychologists can work directly with families, children and young people and schools to develop strategies that will make a difference. Parent training is also available and individually tailored to meet the needs of families. Our counselling service in Perth allows us to work through issues in a supportive and non-judgmental process. At the Child Wellbeing Centre we are able to provide counselling to children, and young people on a range of issues such as anxiety, depression, grief and loss. We empower our clients (both children and young people) to set goals and to make the changes that are important to them. Children learn from other children. The Child Wellbeing Centre offers regular social skill groups to teach children how to make and keep friends. Sessions are fun but challenging. All children and young people entering programs need to be assessed for suitability. Please contact the Centre for more information about our Friendship Clubs. Our staff are able to liaise with schools and support the development of individual learning plans where required. Speech Pathologists specialise in the assessment, diagnosis and treatment of a range of language and communication disorders. Our Perth Occupational Therapists specialise in the assessment and treatment of a range of motor, developmental and sensory difficulties. Applied Behaviour Analysis (ABA) is defined as the systematic application of behavioural principles in order to change socially significant behaviour Socially significant behaviour includes skills such as, language, self-help, play, social and emotional awareness/regulation, as well as academics (e.g. maths and reading). The principles of ABA can be used to help children develop skills in their every day life, from greeting others to playing with peers, from putting on shoes to brushing your teeth. Put simply, whenever there is behaviour the principles of ABA can be applied. As well as helping individuals to acquire skills, ABA uses a functions based approach to also reduce challenging behaviours that may be serving as barriers to your child’s learning and development. Our ABA Team work collaboratively with the Speech Pathologists, Occupational Therapists and Psychologists in the Centre. An integrated combination of ABACAS services and individual therapies (Speech, Psychology and/or Occupational Therapy) can be negotiated based on the needs of your child. The research consistently tells us that ABA is an effective intervention! In April 2015 the National Autism Center (NAC) released Phase 2 of The National Standards Report. 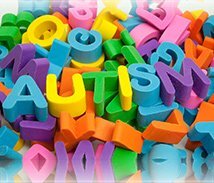 This report was designed to offer parents reliable information and comprehensive resources to help them make informed choices about the most effective interventions for Autism Spectrum Disorders (ASD). 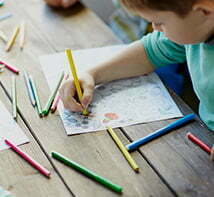 The report reviewed interventions for ASD based on research published between 2007-2012. The results strengthen the findings from The Nationals Standards Project Phase 1, showing overwhelming empirical support for interventions that are behaviourally based. Behavioural interventions formed the largest category of those labelled as, ‘Established Interventions.’ This means that the report depicts that there is sufficient evidence to confidently conclude that behavioural interventions are effective for individuals with ASD. In addition, according to a report funded by the Australian Government Department of Families, Housing, Community Services and Indigenous Affairs (FaHCSIA) ABA is the only early intervention listed as, ‘Eligible Based on Established Research Evidence’ for the Helping a Child with Autism (HCWA) funding package (Prior, Roberts, Rodger & Williams, 2011). Again, this demonstrates the wealth of research supporting ABA as an effective intervention for individuals with ASD. Initial appointments are scheduled with a Program Manager and will focus on your discuss your concerns, aims and together decide whether this program is the right fit for your child and family. This will be followed by an assessment session with a Program Manager and your child. From here a program will be developed focusing on the needs of your child and a behaviour therapist will be assigned to work with them. Next, a meeting will be arranged with Program Manager, therapist and yourself to discuss the program goals and to allow opportunity to ask questions. Once a program has been established, session times with your child’s Behavioural Therapist(s) will be scheduled. We will do our best to schedule therapy session times that are most suitable for you and your family. We encourage parent participation in therapy as much as possible. However, we are also able to conduct therapy sessions at your child’s school/day care (if permissible), if these times are more convenient. ABACAS has a team of highly dedicated and enthusiastic Behavioural Therapists. All therapists hold a degree in a related field, such as Psychology and are experienced in delivering ABA therapy sessions to individuals with developmental disabilities. All therapists are active Registered Behaviour Technicians under the Behaviour Analyst Certification Board (BACB). They are required to be currently practising and to have 5% of their work time supervised by a Board Certified Behaviour Analyst (BCBA). Therapists undergo continual supervision and training, with regular in-session observations, allowing ongoing professional development and ensuring high quality service delivery. Please contact the Centre for more information on our services on 9274 7062. 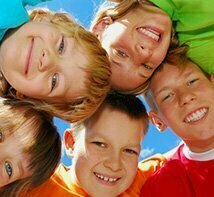 At Child Wellbeing Centre we offer a range of group programs for children and parents. Groups are typically small, no more than four to six children at a time and run after school hours. We also regularly provide information on up and coming programs through our Facebook page. Each term the Centre runs small group social skills programs for children between 4 and 11 years of age. Our team of behaviour therapists and psychologists make these sessions fun and motivating. Programs are tailored to meet the needs of the children participating in groups. In each group we employ a four-part training approach using modelling, role-playing, performance feedback, and generalisation to teach essential pro-social skills to children. 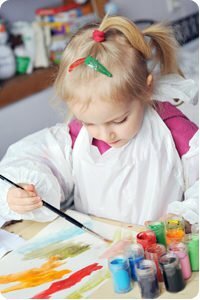 The early primary school social skills program will help to identify your child’s specific areas of social skill needs and will provide them with opportunities to develop these abilities and apply their learning to real-life situations. With this age group, we focus on a range of skills including listening to others, greeting others, asking for help, joining in, sharing, and turn-taking. This is a 10-week program, each session is 60 minutes long. The middle primary school social skills program will help to identify your child’s specific areas of social skill deficit and will provide them with opportunities to develop these abilities and apply their learning to real-life situations. With this age group, we focus on a range of skills including introducing yourself, conversation skills, play skills, helping a friend, sharing, and turn-taking. This is a 10-week program, each session is 90 minutes long. The upper primary school social skills program will help to identify your child’s specific areas of social skill deficit and will provide them with opportunities to develop these abilities and apply their learning to real-life situations. With this age group, we focus on a range of skills including starting and maintaining a conversation, introducing self and other people, asking questions, and apologising. Secret Agent Society is an evidenced based social skills program for high functioning children on the autism spectrum. Groups are typically small and include parent training and teacher liaison to help children develop and use their social skills.